Dave Edic and Bob Baker helped melt the trails at Kincaid with their performances in the 10 km classical technique race at the 2014 National Masters last night. Dave, who was 12th in a field of 69 men, was first among M6 men with a time of 33:58. Bob Baker, originator and long-time organizer of the Sonot Kkaazoot, was 20th overall and second among M6 men with a time of 35:12. National Masters continues with relays tonight and finishes with the Tour of Anchorage on Sunday. 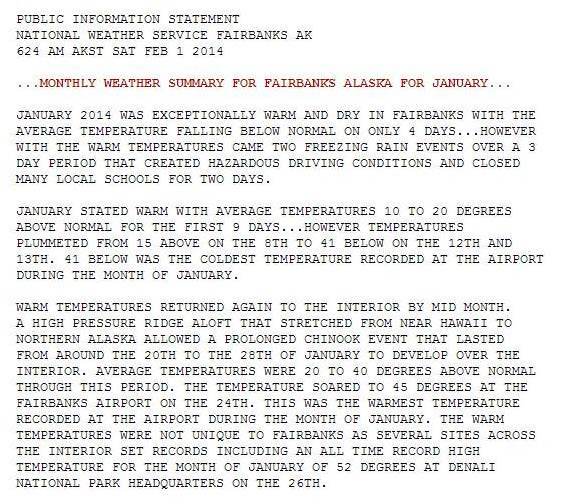 At least 2 dozen Fairbanks skiers plan to be at one of the various starting lines on Sunday. Good luck to all of them. 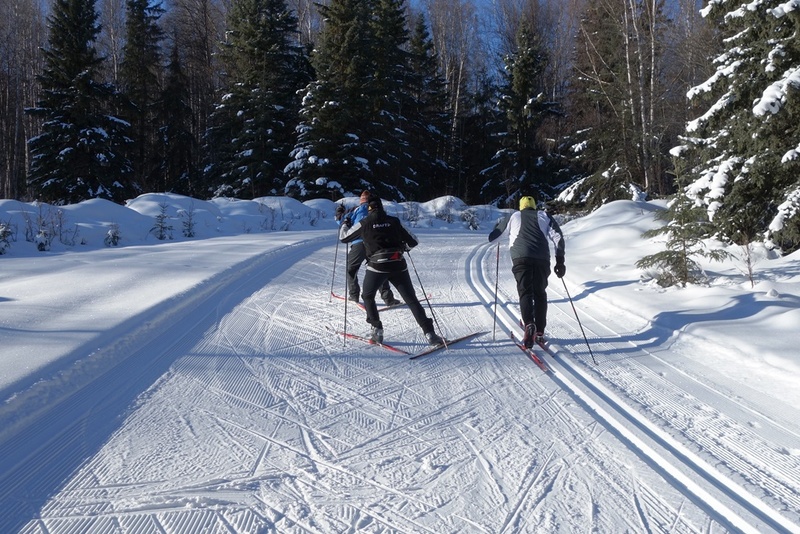 Although Sundays are usually busy days at Birch Hill, with the high school cross country ski season complete, and the Nanooks just returning from an extended road trip, Birch Hill trails beyond the stadium area were strangely quiet today. Rather than watching Olympic skiers race on Sochi trails in 40 to 50 deg F heat, we skied at temperatures rising to the double digits (above zero) on trails still bearing the signature corduroy even though they had been groomed several days ago. The classical tracks were wicked fast and were set best line on much of the White Bear. Life doesn’t get much better than this. Notice the snow depth on either side of the trail. There is ample padding if you plant your ski or pole in the wrong place and crash. This is fantastic weather for training for the Sonot Kkaazoot and increasing daylight hours make skiing trails other than the lighted ones possible after work, too. Have you made your donation to the Birch Hill Trails fund yet? 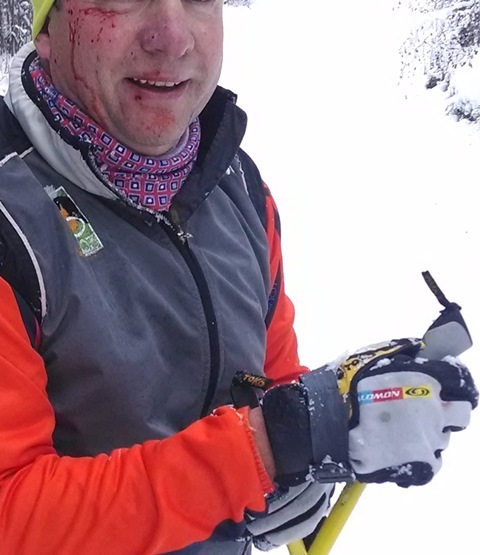 Here’s the link to do so online: http://www.nscfairbanks.org/index.php/trails/519-great-grooming-costs-money-donate-to-nscf-trails-now). Without donations to pay for equipment, fuel, and trained operators, grooming that leads to our fantastic trail conditions will need to be cut back. Has the Sonot Kkaazoot become an event just for “old people”? Nordic skiers tend to be very frugal while also having a tendency to procrastinate. However, early registration for the 2014 Sonot Kkaazoot will end on 28 February (less than a week away) and only 19 skiers have registered, 15 of whom are older than 55 years old. 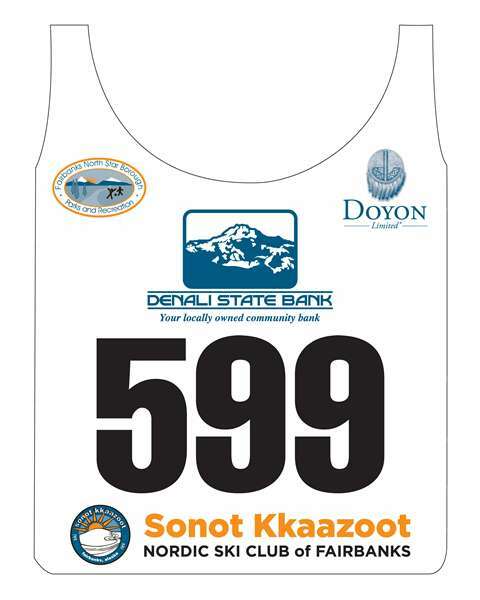 As was the case last year, the White Mountain 100 is scheduled for the day after the Sonot Kkaazoot so the uber endurance athletes may have their focus there. This year the US Ski Association Super Tour Spring Races are being held in Anchorage the same week as the Sonot so the elite skiers wanting to test themselves against recent Olympians will be in Anchorage. So where are the rest of the skiers that we see on the trails at Birch Hill and UAF? This bib entitles you to ski on up to 50 km of perfectly groomed trails and feed stations that will provide you with fluids, food, and plenty of encouragement. Online registration is quick and easy. Just go to the “register” page near the top of this website. 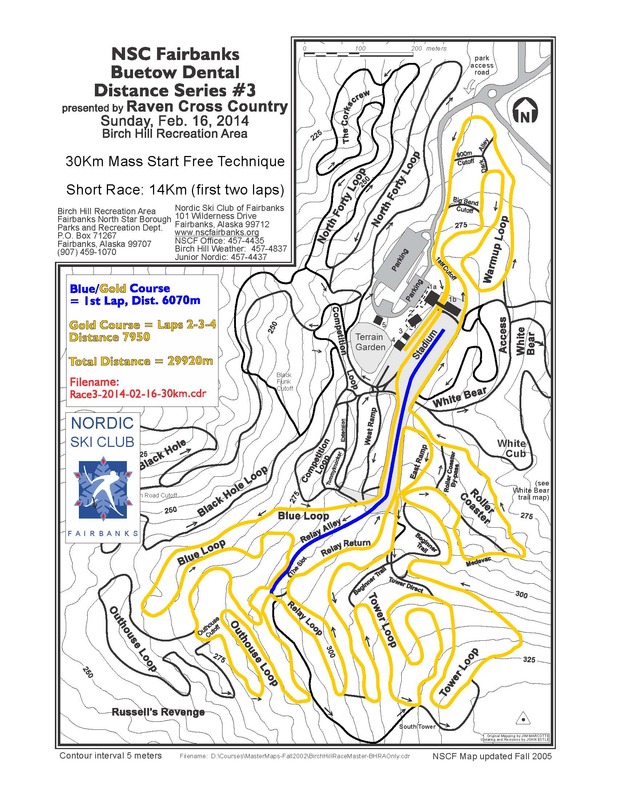 Or if you prefer, entry forms are available at Beaver Sports, Goldstream Sports, and Raven Cross Country (as well as in the Birch Hill Recreation buildings). Remember after Friday, registration for all distances and ages will increase by $10. Click on the “Volunteers” page above to see why. 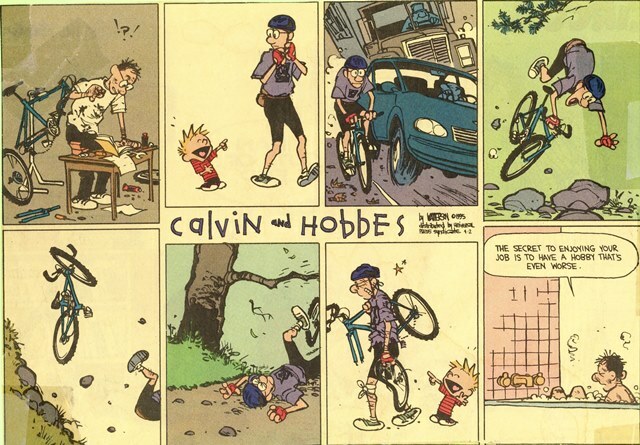 This Calvin and Hobbes comic strip was on my office door for years as a partial explanation for why I hadn’t retired yet. However, the key to enjoying your hobby (for me, definitely cross country skiing from November through April), is adapting to whatever Mother Nature dishes out to us. During the past 19 years, the SCUM have met Sundays (regardless of temperature) once there is sufficient snow on the ground to ski, and last January it was -37 deg F at Birch Hill for one of our Sunday training sessions.That workout was documented on this blog then. that can sideline skiing for an extended period of time (depending upon severity of injury). As skiers, we need to be increasing our training volume with the Sonot Kkaazoot just 8 weeks away. So what is a skier to do, when hours of skate skiing on uneven icy trails overload our cerebral neurons and all those secondary stabilizers within our legs? Relax, and enjoy a classical ski with klister for kick instead of hard wax. I admit, I usually skate when it’s too warm for blue hard wax, but today having rock solid tracks to direct my skis meant that I could concentrate on my knee and ankle bend or that my elbows were positioned out to the side when I doublepoled. Suddenly, the pointers that Pete Leonard had given us during this week’s FXC Masters skate ski sessions were easier to address without the fear of falling. Not only that, I enjoyed looking at the wonderful environment I was out in. Sure, klister is messy to deal with, but a little citrus cleaner (from your bike gear) will remove it from places it isn’t supposed to be. And a garbage bag around the kick zone area of your skis that have been secured at tips and tails will prevent the klister from getting inside your ski bag or the back of your car. Try it! I’m sure you’ll enjoy your next skate session (or work for that matter) more. A little (or a lot) of change is good for all of us.